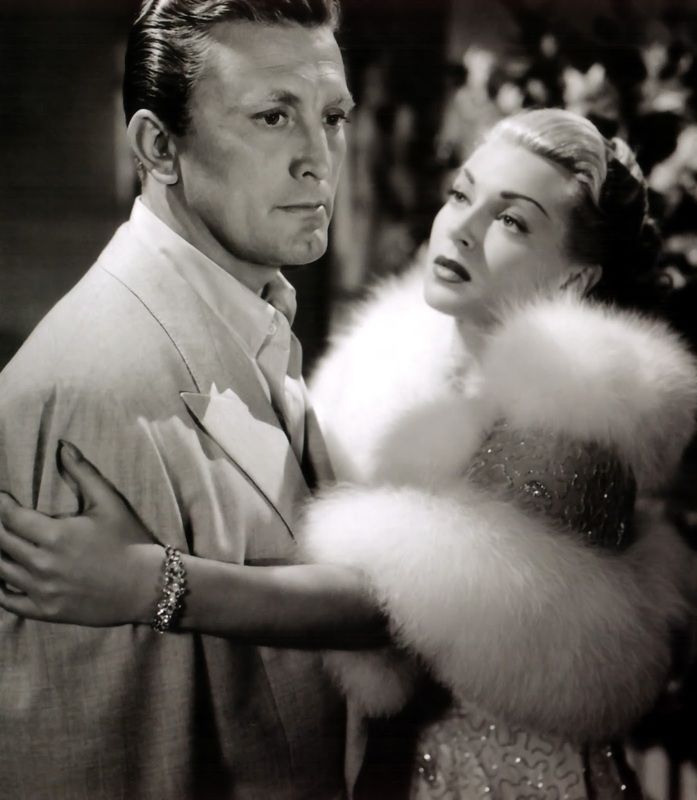 TCM is re-launching The Essentials series with the Hollywood drama, The Bad and the Beautiful (1952), starring Kirk Douglas and Lana Turner. Every Tuesday and Wednesday in May, TCM is featuring films from iconic leading man Clark Gable. This week features some of his best films of the early 1930s, including It Happened One Night (1934), Mutiny on the Bounty (1935), and A Free Soul (1931). There's also a lineup of creature features and an evening dedicated to living legend Kirk Douglas. Birthday tributes: Glenn Ford and Danielle Darrieux on Monday. TCM Film Noir Franchise: Director Edmond O'Brien also stars in the crime drama Shield for Murder (1954) at 10 a.m. Sunday about a crooked police detective who tries to get away with multiple crimes. Silent Sunday Nights: Three comic shorts about firefighters starting with Buster Keaton and Roscoe "Fatty" Arbuckle as inept heroes in The Garage (1920) at midnight followed by two Our Gang comedies: Fire Fighters (1922) at 12:45 a.m. and The Fourth Alarm! (1926) at 1:30 a.m.
TCM Imports: Two films from French director Louis Malle starting with his existential film The Fire Within (1963) at 2 a.m. Jeanne Moreau became an international star in Malle's adultery drama The Lovers (1958) at 4 a.m.
Best Day to DVR: Saturday evening. There's a great lineup of movies starring Kirk Douglas starting with ancient epic Spartacus (1960) at 4:30 p.m. and ending with the Vincent Van Gogh biopic Lust for Life (1956) at 12:15 a.m. Other movies airing are the Hollywood noir The Bad and the Beautiful (1952) and the boxing saga Champion (1948) at 10:15 p.m.
Three daytime picks: A birthday tribute to Glenn Ford, who was born Gwyllyn Ford May 1, 1916, in Sainte Christine d'Auvergne, Quebec. 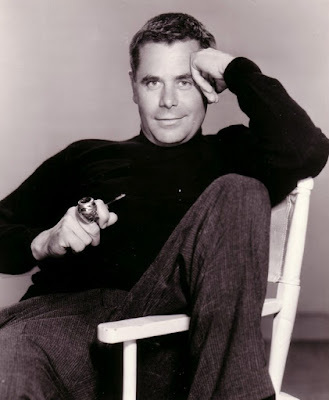 After serving in the Marines during World War II, Ford became a versatile Postwar leading man in movies like the noir Gilda (1946) at 9:30 a.m., where he plays a casino bouncer infatuated with Rita Hayworth. Other standout Ford roles are as a lovelorn traveling salesman in the romance Dear Heart (1964) at 2 p.m., and an inner-city teacher in Blackboard Jungle (1955) at 6:15 p.m.
Prime time lineup: The prime time lineup celebrates French actor Danielle Darrieux's 100th birthday starting with her the delightful screwball comedy The Rage of Paris (1938) at 8 p.m. After World War II, Darrieux became a sought after international actress in films like the drama about affairs of the heart La Ronde (1950) at 9:30 p.m.
Late night pick: Darrieux has the starring role as in director Max Ophuls' masterpiece The Earrings of Madame de (1953) at 11:15 p.m.
Clark Gable and Claudette Colbert in It Happened One Night (1934). Three daytime picks: The theme is movies set on the high seas starting with Charles Laughton as the patriarch of a family who lounge around the South Pacific in The Tuttles of Tahiti (1942) at 7:45 a.m. Next, Doris Day and Jack Carson meet cute on an ocean voyage in Romance on the High Seas (1948) at 2:30 p.m. Finally, John Wayne leads a merchant shipping crew on The Long Voyage Home (1940) at 4:15 p.m.
Prime time lineup: TCM is featuring movies from star-of-the-month Clark Gable every Tuesday and Wednesday in May. First up is his Academy Award-winning performance in the screwball comedy It Happened One Night (1934) at 8 p.m. followed by Gable and future wife Carole Lombard in their only film together, No Man of Her Own (1932) at 10 p.m.
Late night pick: It's worth setting your DVR for the late-night Gable lineup starting with the high-seas adventure Mutiny on the Bounty (1935) at 11:30 p.m. and followed by the Liam Neeson-hosted documentary Clark Gable: Tall, Dark and Handsome (1996)at 2 a.m. Next, are two important early roles in the pre-code melodramas A Free Soul (1931) at 3 a.m. and Night Nurse (1931) at 5 a.m.
Greta Garbo and Clark Gable in Susan Lenox: Her Fall and Rise (1931). Three daytime picks: The Gable movies continue with some of his best pre-code films. First, he plays the love interest of farm girl turned circus performer Greta Garbo in Susan Lenox: Her Fall and Rise (1931) at 9:30 a.m. Next, Gable and Wallace Beery play rival aviators in Hell Divers (1932) at 11 a.m. Finally, Helen Hayes enters the convent to escape memories of World War I hero Gable in The White Sister (1933) at 6 p.m.
Prime time: The prime time lineup is devoted to films starring character actor James Whitmore starting with his role as a man who is disfigured while saving a child from a burning building in Face of Fire (1959) at 8 p.m. Next. Whitmore goes undercover to investigate racism in the Deep South in Black Like Me (1964) at 9:30 p.m.
Late night pick: Whitmore hears the voice of God speaking to him in his supernatural drama The Next Voice You Hear. . . (1950) at 4:30 a.m.
Three daytime picks: The theme is movies featuring choreography from Busby Berkeley whose distinctive geometric production numbers were seen in many Warner Bros. musicals of the 1930s such as Gold Diggers of 1937 at 9 a.m. and the Ruby Keeler-vehicle Dames (1934) at 2:30 p.m. Berkeley's masterpiece is the landmark musical 42nd Street (1933) at 6:15 p.m.
Prime time lineup: TCM is putting the spotlight on creatures features every Thursday in May. 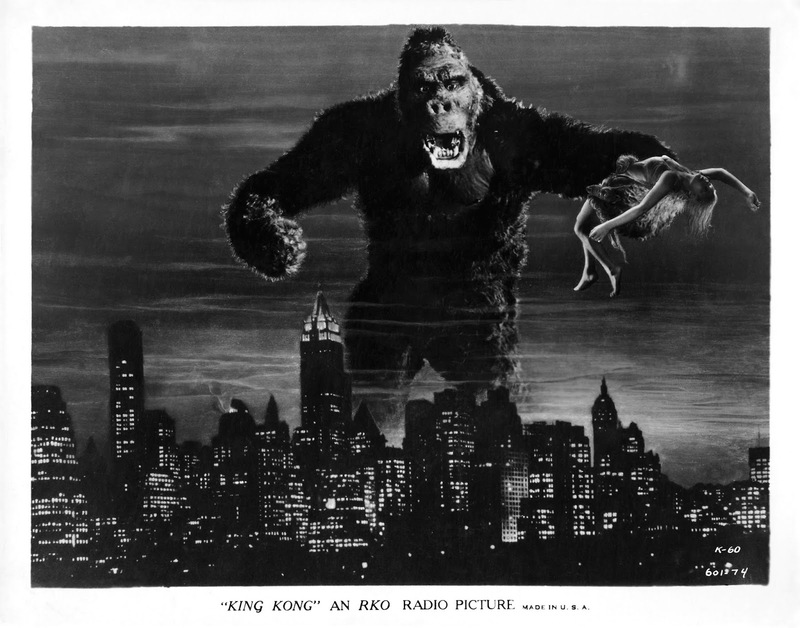 Tonight's lineup features the Gill Man rampaging through the Amazonian jungle in The Creature From the Black Lagoon (1954) at 8 p.m. and its sequel, Revenge of the Creature (1955) at 9:30 p.m.
Late night pick: The biggest, baddest movie monster of them all is King Kong (1933) at 11:15 p.m.
Three daytime picks: TCM is celebrating Cinco de Mayo with movies about Mexico starting with a prehistoric dinosaur rampaging through the countryside in The Beast of Hollow Mountain (1956) at 6:30 a.m. 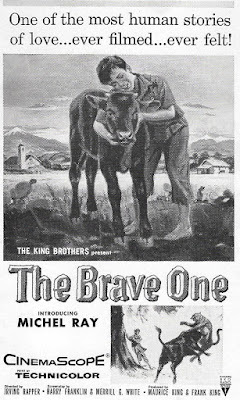 The Brave One (1956) at 1 p.m. is a touching family drama about a boy (Michel Ray) who saves his beloved pet from the bullfighting ring. Wallace Beery plays legendary bandit Pancho Villa in the biopic Viva Villa! (1934) at 6 p.m.
Prime time lineup: The lineup features movies from Oscar-winning cinematographer Vilmos Zsigmond. He worked several times with director Steven Spielberg starting with The Sugarland Express (1974) at 8 p.m. Zsigmond learned his craft working on low-budget films like the quirky crime movie Sweet Revenge (1976) at 10 p.m.
Late night: Zsigmond first earned international attention for director Robert Altman's revisionist Western McCabe and Mrs. Miller (1971) at 3:30 a.m.
TCM is relaunching its The Essentials series at 8 p.m. Saturday with new host Alec Baldwin. 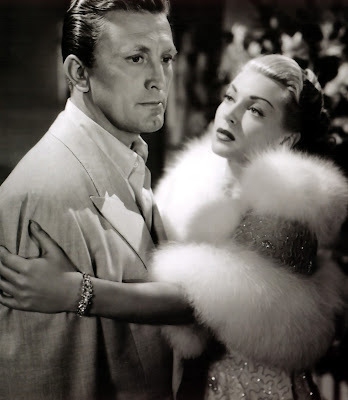 This week, he will be joined by former late-night host David Letterman to discuss the Hollywood noir The Bad and the Beautiful, which stars Kirk Douglas as a rapacious producer who steamrolls everyone in his path. The Essentials will be followed by two more great Douglas films: the boxing film Champion at 10:15 p.m. and the Vincent Van Gogh biopic Lust for Life at 12:15 a.m. The prime time lineup features two 1957 movies about women with multiple personalities. Eleanor Parker stars in Lizzie at 8 p.m. while Joanne Woodward won an Oscar for her performance in The Three Faces of Eve at 10 p.m.